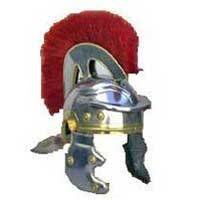 We bring forth German Helmet high on demand in the national as well as international market. 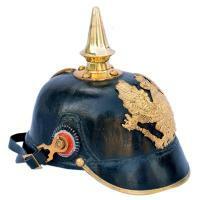 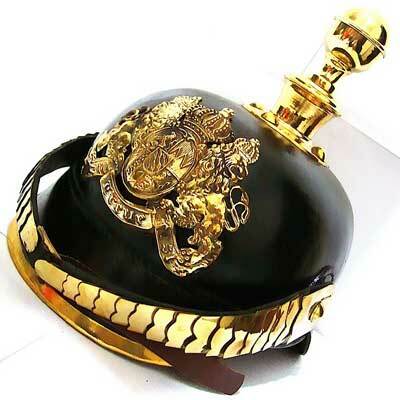 We are offering a wide range of German Helmet under the brand name of German WW1 Leather Spiked Picklehaube Helmet. We have categorized this German WW1 Leather Spiked Picklehaube Helmet in WW1 German Helmet and Pickalhble Helmet, which is manufactured by thick leather that has two rings for ventilation along with brass fitting. The chin scales are reinforced with leather, leather liner inside the helmet as support base and the helmet plate is fire gilded. 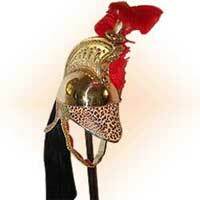 The protecting shield in front is of high quality fiber and the leather used in it absolutely heat resistant. 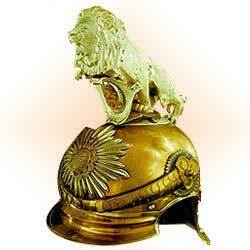 The helmet is reproduction not an antique.